When it comes to housing preferences, we know that one size doesn’t fit all. That’s why we have a wide variety of options to ensure you feel at home. Living off campus enables you to enjoy independent living and experience being part of the local community, which is why many of our postgraduates live off-campus in Coventry city centre or in nearby towns. Through the Warwick Accommodation team, the University manages over 2,000 bed spaces in approximately 400 properties in Coventry, Leamington Spa and Kenilworth (click here for travel distances from campus). These properties range in size from smaller flats to large, 12-bedroom houses and modern, purpose-built student accommodation. 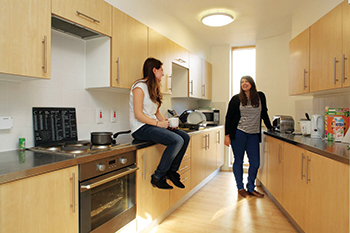 If you’re living off campus, we want you feel secure in your accommodation choice. That’s why, unlike many private agencies, Warwick Accommodation charges no agency fees, no hidden fees and doesn’t even require a deposit. All our properties are regularly inspected by our property managers to make sure they meet our high standards and we include free personal contents insurance worth £6,000 for every resident. They are all equipped with cooking facilities and white goods (e.g. fridge, washing machine), as well as living and study space. Our campus accommodation includes some separate postgraduate areas as well as a limited number of couple and family residences. 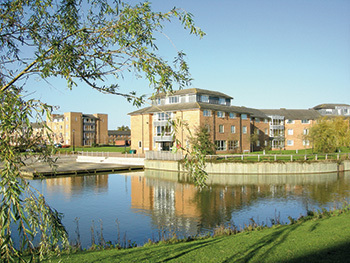 All are furnished and maintained to a high standard, and located within a 20-minute walk of the main campus buildings. All rooms are single-occupancy, so you won’t have to share a room. You’ll have access to our free campus-wide Wi-Fi network in your accommodation, so you can easily access online learning and research resources from your study bedroom or flat. Our residences are all self-catered, with well-equipped kitchens and communal living areas. There’s a convenience store on campus and two supermarkets within walking distance, selling a large selection of product ranges from around the world, so you won’t have to go far to stock up on the food you enjoy. In each of our residences you’ll find staff and postgraduates whose role it is to help you settle in, answer any questions and generally support your welfare. They make up the Residential Life Team and will live alongside you in separate flats. Alternatively, you can rent a property off campus through a private landlord or letting agency. Our Students’ Union Advice Team can provide information about private rentals, including where to look, what to look for, and guidance on budgeting and checking tenancy agreements. There are excellent transport links to and from campus by bus. There are express bus services from campus to Coventry train station and the city centre. At peak times, buses run up to every 10 minutes and there are also services operating late into the evening. On some routes to Leamington and Coventry, you’ll enjoy free on-board Wi-Fi. Purchasing a bus pass online will give you discounted travel throughout the term, so you can get to and from campus economically. I live in a house in Earlsdon (Coventry), which I share with three other students, all of different nationalities: British, Swedish and Chinese. This has given me a great chance to meet some new people and experience different cultures.